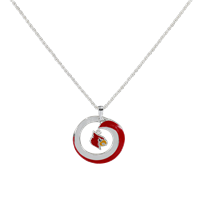 The Louisville Cardinals (also known as the Cards) are the athletic teams representing the University of Louisville. Teams currently play in the American Athletic Conference, but move to the Atlantic Coast Conference for the 2014 season. Since becoming a member of the Big East Conference in 2005, the Cardinals captured 17 regular season Big East titles and 33 Big East Tournament titles totaling 50 Big East Championships across all sports.